Klamath Falls, Oregon – Running Y Ranch Resort is proud to announce it will be hosting its 3rd Annual Bridal Show on February 24, 2018. Brides who attend this event will have the opportunity to meet with some of the best vendors in the Klamath Basin and Southern Oregon to plan the details of their wedding. 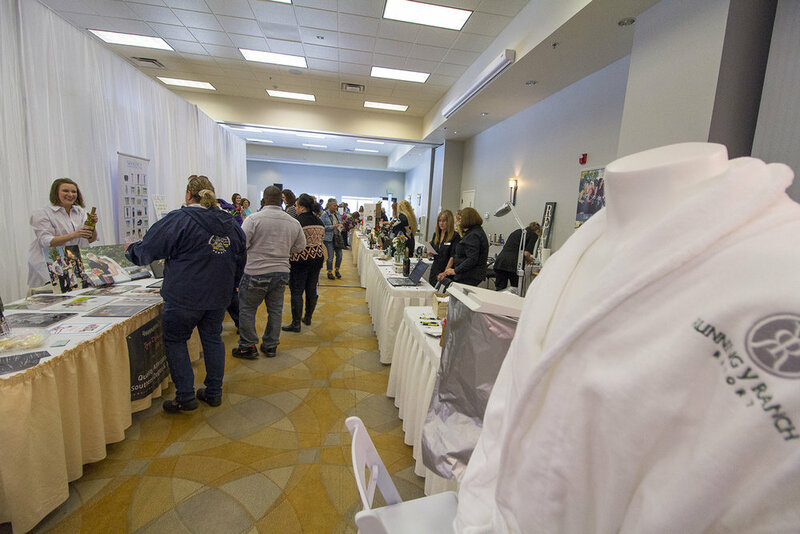 This year’s vendors will include those who specialize in photography, videography, jewelry, catering, wedding cakes, linens, DJ’s, spa services, hair, beauty, wedding dresses, financial planning, and flowers. This wonderful event is free and open to the public. Thousands of dollars of door prizes will be given out throughout the day, including a grand prize of a dream wedding. Tickets for the grand prize drawing will be sold at the event. The event will be located at the Running Y Convention Center and will go from 10:00am to 2:00pm. The first 150 brides who attend will receive a complimentary Grab Bag full of goodies from vendors. Running Y Ranch Resort’s booth will be giving brides an opportunity to sign up for a discounted tasting as well as providing tours of the on-property venues. These tours will give brides a glimpse of what their wedding day would look like when held at Running Y Ranch Resort. Tours will be offered the day of the show and do not require a sign up. Those who are interested in scheduling a private tour with our Certified Wedding Coordinator, Kim Abel, please contact her at kima@runningy.com or 541.850.5785. Events to look forward to: Shirley’s Fashion Boutique and Bridal Salon will be hosting a booth and bringing some of their dresses for brides to see in their booth. There will also be a wine* walk where guests will be able to sample a variety of wines from the booths of participating vendors. The wine walk will begin at 10:30am and go until 12:30pm. Running Y will also be providing a variety of passed hors d’ oeuvres samples at 11:00am and 12:00pm. Both the wine walk and the passed hors d’oeuvres will be complimentary to those in attendance. This year, the Bridal Show will once again be hosting a “Man Cave.” This lounge will include a television, gaming console, and beer* tasting samples that the men can enjoy while their brides shop around. Lounge furniture is graciously donated for the day by Legacy Furniture. *Must be 21 or over to participate in wine and beer samples. Situated in the heart of the breathtaking Cascade Mountain Range, Running Y Ranch is a full-service resort located just across the California border. Fresh mountain air, clear star-studded night skies and beautiful landscapes make Running Y Ranch Resort the perfect place to relax and recharge offering the finest lodging available in Southern Oregon. The resort is home to the only Arnold Palmer designed golf course in Oregon. Golf Digest consistently rates it a Top 100 US Public Course, Top 15 in Oregon and Top 5 in the United States for Women.